As Spring rolls in and Summer approaches, we are going to be switching up our Lunch & Learn frequency from weekly to monthly. They will be held on the first Tuesday of the month until September, at which time they will resume to their weekly frequency. We take great care in building our Mountain Hub memberships. We aim to keep them affordable with exceptional value. Stop wearing pajamas during the day. LOL. We hope to have these ready to go for May 1st. Send us an email for more details, or to get on the list for one. Our Business Accelerator Membership includes unlimited days working at the Mountain Hub during business hours, 6-hours of meeting room rental and bi-weekly Business Accelerator coaching and support sessions. This membership is structured for businesses and brands ready to launch and/or grow. More details will be coming shortly, but if you absolutely can’t wait, email megan@mountainhub.ca for the inside scoop (or to get your name on the list). At the Mountain Hub, printing simply would not be possible without our partnership with Palliser Printing. Dee Conklin saw early on what we were trying to accomplish at the Mountain Hub and has been a huge support. Plus she totally hooked us up with the Cadillac of Xerox printer/copiers. Members, you all know what I’m talking about! 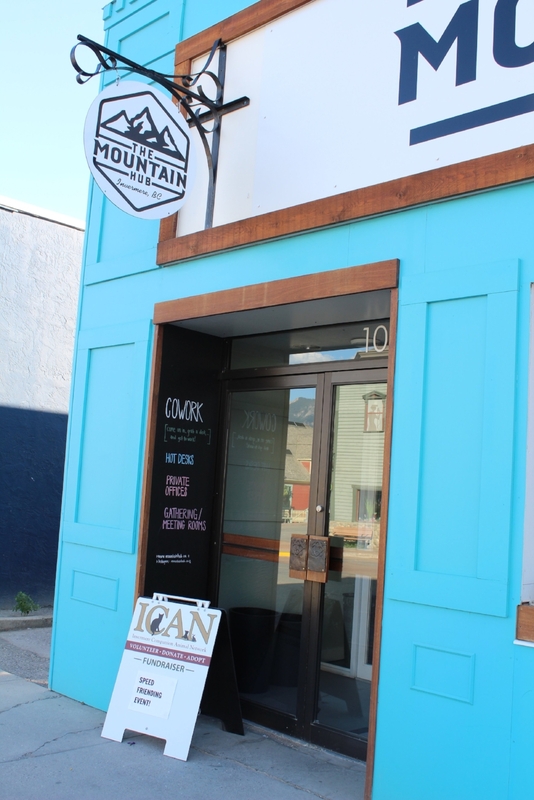 As an official partner of the Mountain Hub, you’ll start to see weekly tips from Dee and Palliser on how to market, network and build an amazing business. This will be in our newsletter, along with monthly Palliser specials. Mention the Mountain Hub when claiming the special and you’ll make our day! Keep an eye out for these coming the first week in May. We will be making the back room in the Mountain Hub a reservable area. You know, the one with the purple couch! The Mountain Hub is looking to share its space with another incredible business, startup, non-profit, entrepreneur or freelancer. Become a part of the growing Mountain Hub and reach new heights in your business! We have three offices that are available! The furniture we have in it can stay or go and we can work with you to create the perfect office space for your business. Starting at $350/month which includes all utilities, high-speed WIFI, coffee, professional cleaner, all Mountain Hub amenities, and more! Last night the Mountain Hub has the pleasure of hosting a “Why Mountains Matter” event where each participant shared five slides and had two minutes to talk about why mountains matter to them. It was in true Pech Kucha style and was incredible! People spoke of food security in mountain cultures, the changing landscape of Kathmandu, the geology and importance of preservation, the most sacred mountain in the world, the contrasting landscape of the mountains (and it’s beauty), raising their children in the mountains, the paradox of the mountains - feeling safe yet exposed and more. At the end of the night, it was settled, the mountains for us all are a magical and mystical being that draw out adventure, purpose and passion. Big kudos to Shannon and Baiba from Wildsight for putting on such an incredible event. I hope to see many more in this amazing format! Below I am sharing my own presentation. The mountains hold a special place in my heart and have brought me a sense of belonging, purpose and an amazing community. If you are interested in participating in an event like this in the future, please email me at megan@mountainhub.ca. We moved around a lot as a family and I never really felt like any place I lived was “home”. Everyone around me would be going “home for the holidays”, but for me - my home was my family - wherever we were. I was always the odd man out it seemed. Canadian in America. Or American in Canada. At 14 my family moved from Edmonton Alberta to Trappe Pennsylvania. The land of hoagies, Wawas and “wooder” (that’s water). After ping-ponging back and forth from Canada to the US a couple more times, I landed in California. But my search for that place to call home still eluded me. So I traveled to South Africa. And numerous other places wondering if perhaps they were somewhere I could live, or to help answer that burning question, where to call home. I got the call one month into my travels in Indonesia. I was going to be an Aunt. And I knew then where I needed to be. It’s no surprise my sister chose the mountains to help raise her daughter. In fact, a small mountain town in BC called Invermere (you might have heard of it) and so I moved there January of last year. I have to be honest, it didn’t feel like home for a long time. I felt like a red plate, just driving California ones. But the mountains had other plans for me and worked their magic. So much so I now own and run a business, called the Mountain Hub. Mountains matter to me, because they finally answered the question I always had. The mountains are my home. We are excited to announce the launch of our four dedicated desks in a private office which will be rented out on a monthly basis with a 3-month commitment. These desks can be rented out by individuals, or by a team. If rented by a team, we can arrange the office and desks in a manner that works best for you and your team members. Simply let us know when getting in touch. NEW! Unlimited access to the two meeting rooms. Because the dedicated desks are in a shared office, meeting clients and taking calls may be disruptive to your fellow coworkers if they are in at the same time. This is why with your dedicated desk rental comes with unlimited access to the two meeting rooms. We do ask that you utilize them in 2-hour blocks to allow others to utilize them as well. You will be able to use the main mailing address to the Mountain Hub to share as your business address, or at least to receive packages! NEW! Receive packages (no signature). Stop worrying about being home for a delivery, or tracking down the local courier to find your package! NEW! Signage in the Mountain Hub (outside and on office door). Promote your business by advertising it on the outside of the Mountain Hub as our "in-house" business member. An amazing community of coworkers. With these dedicated desks, you are able to utilize the Mountain Hub as your main office (or secondary one). We will be placing your business name and logo on the outside door to let people know you’re “in-house” as well as on your individual door within the Mountain Hub. Also, you will be able to use our mailing address as your primary location of the business and receive unsigned packages at our location. Simply put, this desk is yours and yours alone! No one else can use it when it’s not in use and you can leave your belongings behind at the end of the day. Each desk will have an assigned filing cabinet you can use to lock up your belongings, valuables, and paperwork. With a dedicated desk, you can also bring and leave behind a monitor and other equipment you need for your work. The dedicated desks are in the private office, so you will be working alongside others with dedicated desks in true coworking style, or if you are a team looking for space, we are able to accommodate your team as well. The dedicated desks are rented out monthly with a 3-month commitment. After that, you can renew, or move on if you wish. 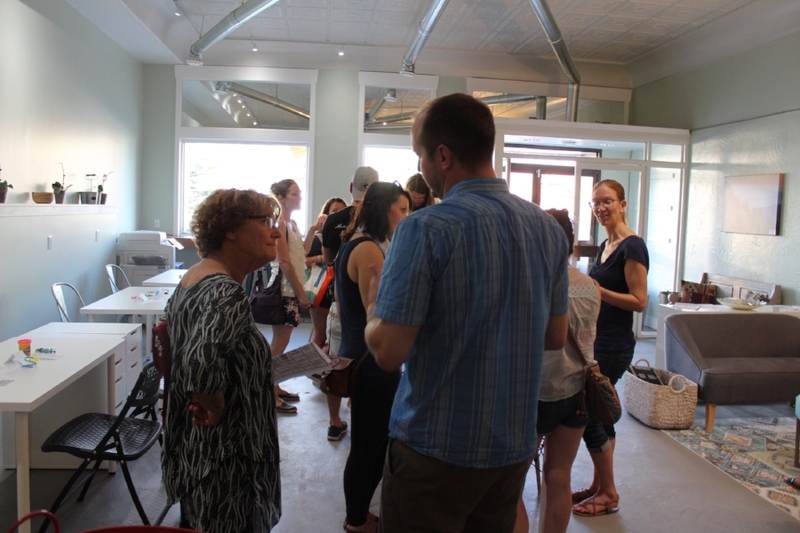 If you are interested or want more details, please get in touch so I can give you a tour of the space by sending an email to Megan at megan@mountainhub.ca. The desks are available to rent starting September 1st, 2018. Members now get free hours included in their membership for booking private offices! Included in each membership level is a certain amount of hours per month you can use to book and work out of one of our four private offices. Members can choose from all four rooms; from the practitioner room to the boardroom, the semi-private office or the private office. And don't forget, your membership also guarantees you 20% off the office rentals. When using a private office, please be sure to check its availability first using the online booking calendar. If it's available, book it using the online calendar. For members, the system will track how many hours you have used a private office and not charge you for the hours included in your membership. When you have exceeded your monthly hours you will then be able to rent the office at your member discounted rate. Unused monthly hours do not roll over to the next month. I made up a quick 2-minute video walking you through how to book your time in one of the offices. This will also be helpful for non-members who wish to use our private offices as well. The only difference is you will be charged the amount due upon booking. We are super excited to announce that Heather Fischbuch from Flourishing Health Services will be offering massage, aromatherapy, traditional Chinese medicine therapies, and reflexology at the Mountain Hub! With over 32 years of experience in the complementary health field, Heather will be bringing her expertise in advanced massage techniques, and medical aromatherapy to her clients at the Mountain Hub in one-on-one sessions, as well as future workshops and classes. You can reach Heather at 250-688-0033 for appointments. Also, stay tuned for the launch of Heather's brand new website (created by fellow Mountain Hub members, Samantha Gernhart from Clarity Design & Marketing)! The mission of the Mountain Hub is to provide space, ideas, and build community to help support local entrepreneurs and businesses. 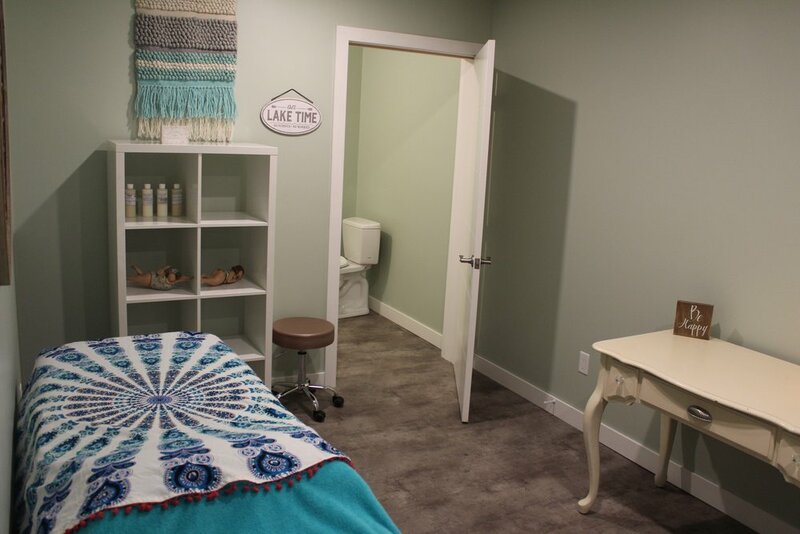 In the Mountain Hub, one of our private offices is a dedicated practitioner room with an attached washroom. 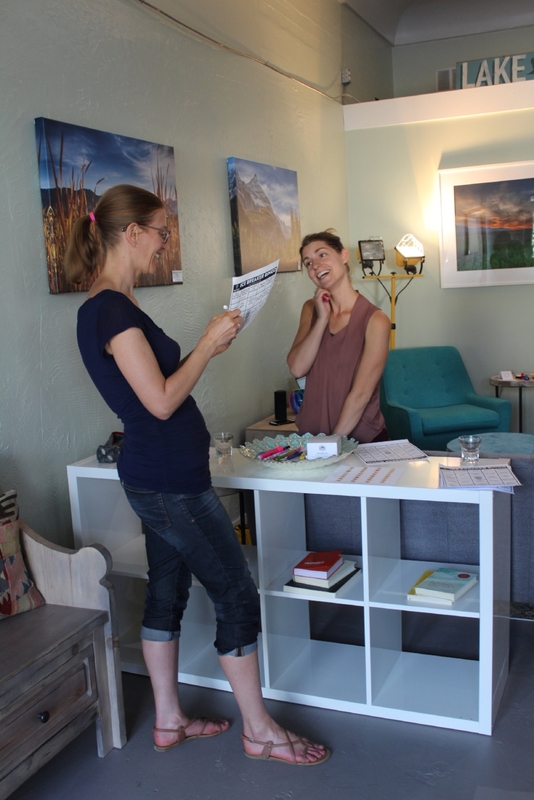 I am excited to have an in-house health practitioner to bring their expertise and energy to the Mountain Hub. Curious about the practitioner room for your own business? It's available to rent on an hourly or daily bases. 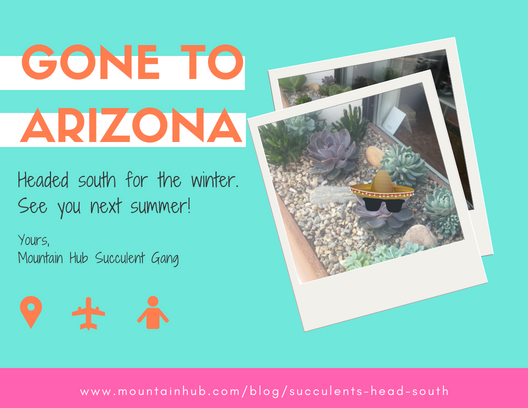 Email me to schedule a time to take a tour and learn more about the Mountain Hub. 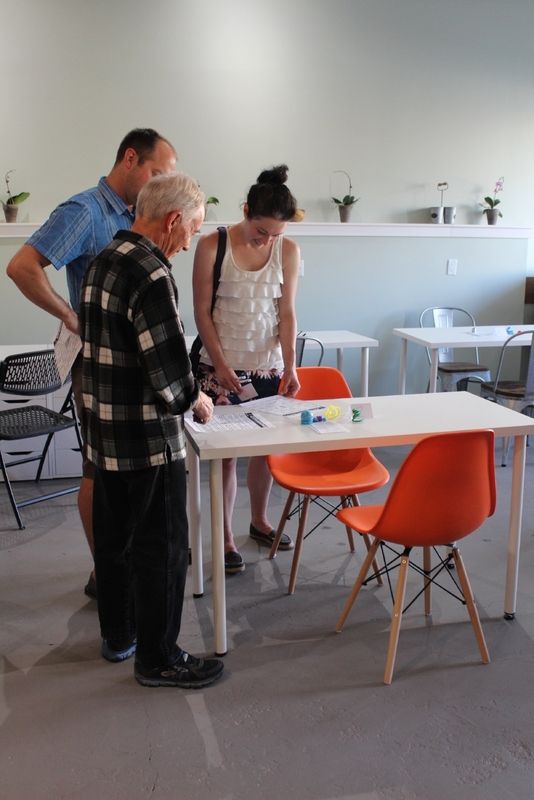 Friday, August 3rd is Free Coworking Day + Happy Hour! Need somewhere quiet to work? Rent one of our four offices for distraction free work. Last night we had our highly anticipated Speed Friending event hosted at the Mountain Hub. Initially conceptualized by Dauna Ditson, this event (a twist on Speed Dating) had people paired up with one another in order to strike that initial friendly connection. With a fear that it might be awkward at first, we made sure to have little trinkets and toys at various stations to help ease anxiousness. When participants first showed up and registered, we had an “Ice Breaker” bingo game in order to help people mingle while waiting for the event to start. We wish to thank them again for their generous contribution and to encourage everyone to check out their Distillery conveniently located right next to Kinsmen Beach, below the Station Pub in Invermere. When Dauna and I were initially planning the Speed Friending event we wondered how awkward it would really be. We thought we would have to be pretty heavy-handed in facilitating the event in order to make people feel comfortable. In order to combat our perceived awkwardness, we concocted little games, chotskies to tinker with, and had pre-written questions for people to ask one another if the conversation ran dry. But this simply wasn’t the case. The brave Speed Friending participants showed up open, excited and willing to put themselves out there to meet new people. And meet new people they did! From the get-go there was no din in conversation. People excitedly greeted one another, enjoyed the drinks from Taynton Bay Spirits and shared authentic connections. In fact, we even had a difficult time getting the pairs to move onto the next person after three minutes! This was the “Speed Friending” portion. We paired everyone up and timed their conversations for three minutes, at which time they would move on to the next person ensuring everyone had at least three minutes with everyone else at the event. We may have been a bit discombobulated in our logistics around this (oh math). But we can successfully say that everyone did, in fact, meet everyone - whether in the timed format, or up at the snack table. This group of people that came together were incredible and genuine connections were fostered. We also decided early on to donate any proceeds we made to the Invermere Companion Animal Network. This amazing organization of volunteers has been rescuing, sheltering and rehoming companion animals in the Columbia Valley since 2007. You can find more details at their website: http://www.icanbc.com/. The reception for this event has been wild. See, even in a small town, it’s easy to stick to our circle of friends. We have our daily lives, work, and routines that keep us in a tight track of continuity with the same people. As a relative newbie to Invermere, and as a person who has moved around a lot, integrating into a new community takes conscious effort. When you don’t have a built-in circle of friends from grade school, or neighbors you grew up you have to seek out new circles of people and often that can be difficult. 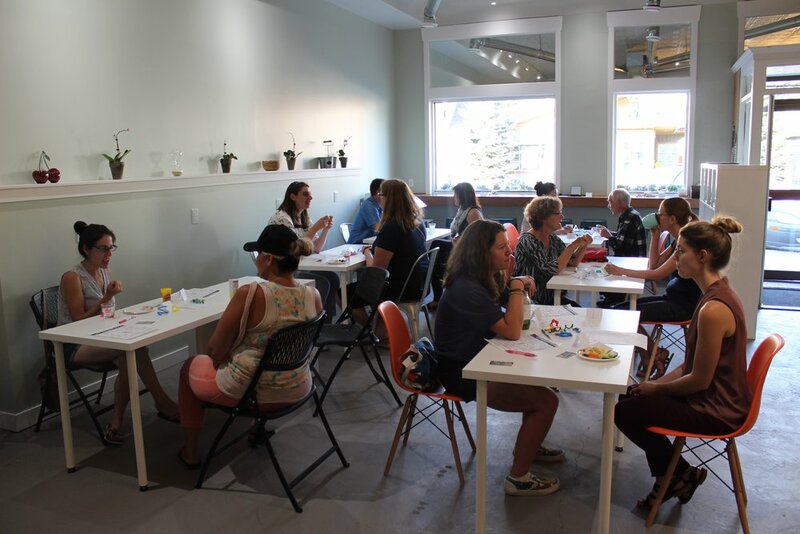 Events like Speed Friending encourage people to step out of their normal circles and meet new people they might not have met anywhere else - whether they are new to town, or not. And I find that exciting! And so did our Speed Friending participants. Connections were sparked! Friendships were made! If you are interested in attending a future Speed Friending event, reach out and I’ll add you to our list. Below are some additional pictures from the Speed Friending Event.